Sega has developed a urine-controlled game for public restrooms. It’s called Toirettsu. The goal is to control the aim and speed of your pee to succeed in mini-games. That’s thinking outside the box! I suppose it could make going to the bathroom a little more interesting, but I’m still skeptical. Plus, there’s the additional cost that would conveniently be passed on to the customer — hopefully not in a charge for using the restroom, but it would probably be recouped in other ways. I’d rather not pay more for my food or other products for a service I may not even use. And what’s next — a game based on how much you poop or how much it stinks? Even if you got the high score, would you want to brag about it? * That reference is especially for Fab, and no, it does not refer to Buffet o’ Blog. There are some unusual video games that get made every year. Most of the time, I understand — even if the game seems weird to me, at least the developers are using some creativity and trying something new. There needs to be more chance-taking in game publishing. But I heard of a game that just blows my mind when I consider how generic it sounds. It’s called Forklift Truck Simulator. Below is a screenshot from the game, showing how action-packed this game will be. 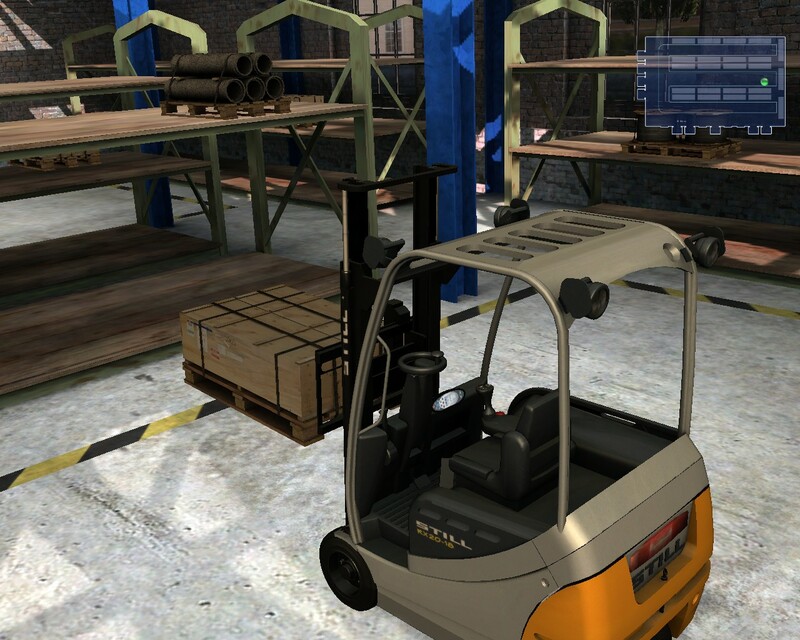 Get behind the controls of a forklift truck in this highly detailed original simulator. To make the experience a bit more realistic you begin in a training mode to learn your controls and achieve your license in order to continue to the missions. 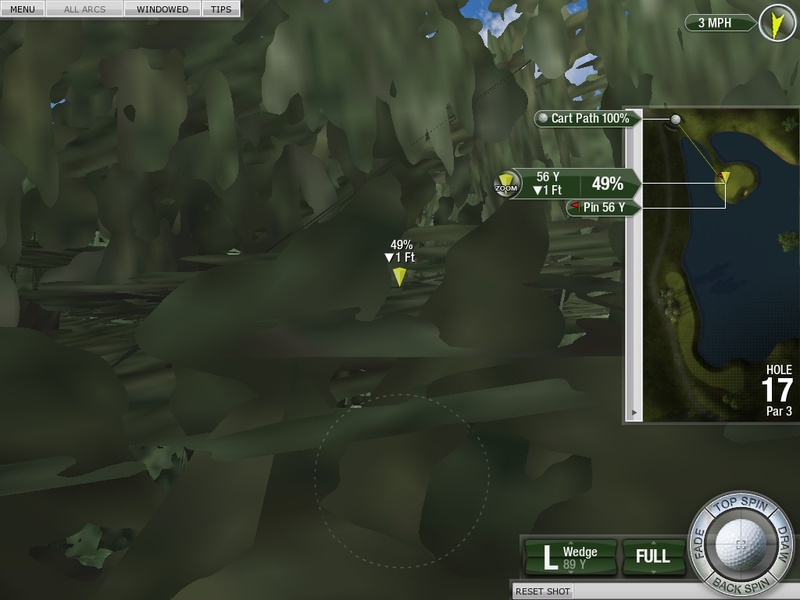 There is also a “free play” mode which allows you to drive freely and choose where to go and what to do with the goods. Again I say, uhh… I hope there’s a LOT I’m missing, for the sake of the people who put money into this project. The concept of “as realistic as possible” doesn’t seem like a selling point for me. I usually play video games so I can do things I can’t normally do in real life. (Granted, I don’t find myself driving forklifts on a regular basis, but that’s not high on my list of priorities.) If these forklifts don’t have weapons or power-ups, it doesn’t sound too fun. The only hope I see for this game is the “free play” mode. If it allows you to get creative and/or go on a destructive rampage, there could be some fun involved. But if it’s “realistic” and restricted to work-life experiences, I can’t see it being worthwhile — unless you plan to become a professional forklift driver, but still, real life experience would be a lot better. Occasionally we’ve posted links to online games for your gaming enjoyment and for comparing high scores, and this time we have a great one for you. 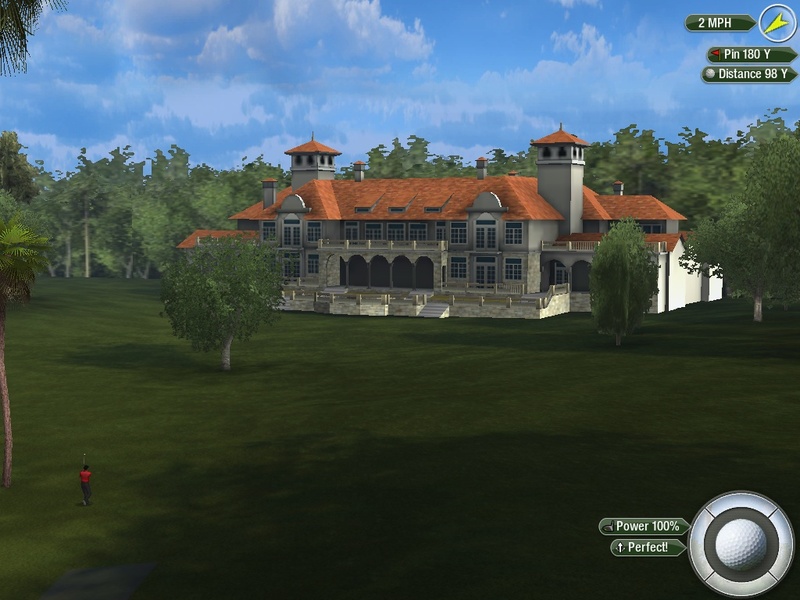 It’s Tiger Woods PGA Tour Online. In the demo, you get to play 3 holes. Now you may be thinking this will look generic, like many Flash games, but it’s better than normal. You have to install a plug-in called Unity 3D, which allows for 3D graphics to be rendered in your browser. After that, there’s nothing to (permanently) install. The data for the game streams to your computer as needed. Some think this may be the future of game delivery. Anyway, you can try it here for free. Here’s the link to the free demo. I’m not an avid golfer, but I can enjoy playing golf games, if they allow me freedom to hit bank shots off trees and buildings. I like flexing my creativity to make a shot. Below is a picture of a building I hit, and the ball actually landed on the upper deck balcony, then rolled off. This was out-of-bounds, of course, so the next time I cranked it over the clubhouse. Apparently the windows are unbreakable. There are plenty of sites that have full reviews of this game, along with “normal” screenshots. I decided to have some fun with it, by seeing what it would allow me to do. Following are a few more screenshots of some other interesting areas, including one where my golfer was trying to hit a shot while crouching, and his hands and the club would have to pass through his knees to pull off this angle. But somehow he hit it. I'm sure they tried to recreate realistic physics, but something here ain't right. Believe it or not, this was the default view after one of my shots. Feel free to post your high scores (or low scores) here for everyone to contemplate (and/or talk smack about). As far as my review of the game (based on the 3-hole demo), I would prefer better graphics. (I know, realistic graphics aren’t the most important thing — no need to start that rant. But I’ve played older golf games with better graphics, so I expect more, especially since golf doesn’t require the same amount of graphics and physics processing of some other games.) I don’t know if the full version has announcers or not. Of course, they can sometimes get annoying, but they’re sometimes funny, and to me it was missing in the game. I like the idea of them adding content (such as more courses) with it being online, but that can be done in the PC and console versions in most cases. From what little I saw, I would prefer to install the game on my PC instead of having it “portable”. Regarding gameplay, the advice it gives you on how much power to use made it easy, except on putting, where it doesn’t seem accurate. I suppose that can be turned off, though. Hopefully the camera angle can be adjusted, because sometimes the ball just disappeared over the horizon and I never saw where it went (even if it was onto the next hole, it should show me). I wasn’t out looking for new flash games, but I recently came across a link to one that sounded cool, and it’s fun. It’s called Stunt Pilot 2, and you have to pilot a plane through various stunt courses. There are bonuses, and sometimes the environment changes on you. The graphics are pretty sharp for a flash game, too. And while the flying is fun and challenging, the best part are the crashes. There’s even a “destruction bonus” if you crash in a big way. 🙂 And sometimes the people on the ground react to your crashes and destruction, which can be interesting. There is also the element of achieving a high score, with various methods for achieving high scores. I’ve had requests for a new web game here, one that’s simple to play yet that we can all compete on. So here’s a new game. It’s really simple — all you have to do is press a key or click the left mouse button, and the monkey kicks the ball. That’s it! BTW, the background changes every 1000 points, and the ending sound effect is also different. Just something to notice as you get better at it. Now what kind of host would I be if I didn’t give you a high score to shoot for? Here’s my best so far: 4653. A while back I wrote about the FreeRice game, where by answering questions you donate food to help those in need. It’s so simple, and it actually makes you smarter because you learn new words. Well, now there are more topics to choose from, so if you got bored with the previous game, you can play other ones to donate rice. Just click on “Change Subjects”. You can test your knowledge of chemistry, geography, grammar, foreign languages, math, and even famous paintings. They’ve also added more words and levels to the vocabulary section. I know this blog is all about helping people laugh more, but this is a great cause to help people who don’t have enough food to eat. Now there’s no excuse of not having enough money to give to charity — all you have to give is some time. I encourage you to bookmark the site and go back there frequently. …how can I beat back boredom and help pass the time? …how can I improve my typing skills and thus my job performance? …how can I play a game, save the world and still accomplish the above? why don’t we start a friendly competition to see how well you do? after playing leave a comment on this post with your name, skill level, and score.